Learn how to use the Marketplace Mobile Approval App. Get an authorization code in Marketplace before downloading SciQuest for your iPhone or Android device. 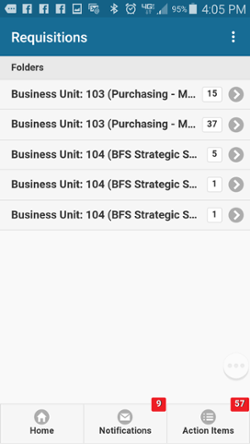 Input the mobile app activation code you established in Marketplace. In the Password field, enter your Marketplace (Single Sign-On) password. Click Register Device. See Notifications, Action Items, and Approvals folders that have been assigned to your profile. Select Action Items to view any open requisitions that require your approval. 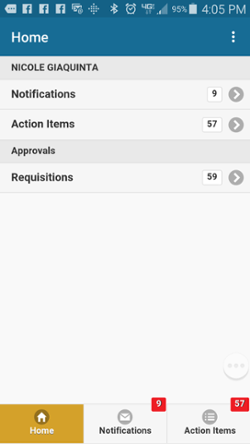 Select Requisitions under Approvals to see all of your approval folders. 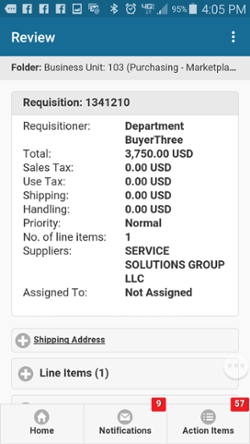 Clicking on a Requisition will allow you to review, but not edit, various parts of the order. 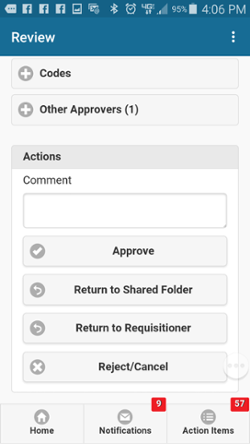 You can add Comments to the requisition under Actions.